Mailliw is using Smore newsletters to spread the word online. Fredward "Freddie" Benson is the former web producer of iCarly. He will appear in Sam & Cat, as Dan Schneider has confirmed that Nathan Kress, his portrayer, back for Sam & Cat, as he had hoped for more "Seddie" fun. It is possible that Freddie will reappear to resolve his relationship with Sam. Which Seddiers believe was left un-resolved from the series finale of iCarly where he asked Sam if she wanted to get back together with him. She asked him if he wanted to, saying "Do you? ", but he changed the subject by saying "Uh I just... what's up?" and they never talked about it afterwards. It left many fans (especially Seddie fans) questioning and wondering about their relationship. 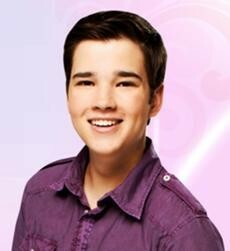 Freddie is portrayed by Nathan Kress. Robert "Robbie" Shapiro is a character on Sam & Cat, originally from Victorious. 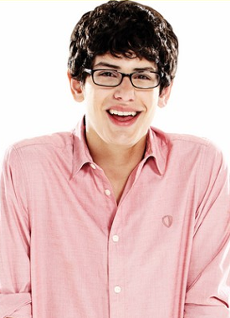 He is portrayed by Matt Bennett. Jade West is a character on Sam & Cat. She is a continued character from Victorious. She is a well-known student and classmate of Cat at Hollywood Arts High School, a school in Hollywood specializing in performing arts. She dresses goth, often wearing dark clothes, makeup, and accessories, probably to express her dark outlook in life. Marissa Benson is Freddie Benson's mother. She is shown to be nosy, aware of everything, overprotective, aggressive, and borderline psychotic. Beneath all of this, she is nonetheless a devoted and caring mother (see Maddie page for their mother/son relationship). She would go to great lengths to protect Freddie from anything and everything that might be even remotely dangerous to him. This decreases after iMove Out, in which she promises never to embarrass Freddie again (including unblocking all of the channels on his TV), Freddie threatening that he wold move out again. Despite that, she is still somewhat overprotective of him, as seen in iBeat the Heat and iPsycho. Marissa is an anti-hero throughout the series, due to her overprotective, cautious, and sometimes selfish personality, she at times is shown to be kind and gentle (such as when she cares for Lewbert when he is hurt in iHurt Lewbert). It is currently unknown what happened to Freddie's father, so it is believed he is either dead or divorced with Marissa. It was revealed in iFence that Marissa's side of the family is the Bensons, so the last name of Freddie's father is currently unknown. Although it is mentioned on iCarly.com that Freddie's dad's name was Leonard, he could have left Marissa because she is too caressing. It is also said that Mrs. Benson gives Freddie an $8 monthly allowance because she thinks if she gives Freddie more he will buy a bus ticket and leave her. According to Freddie, this is "not really [stupid]", possibly indicating that Freddie's dad bought a bus ticket and left her, uncertainly though.